About Us | St. Brendan's N.S. 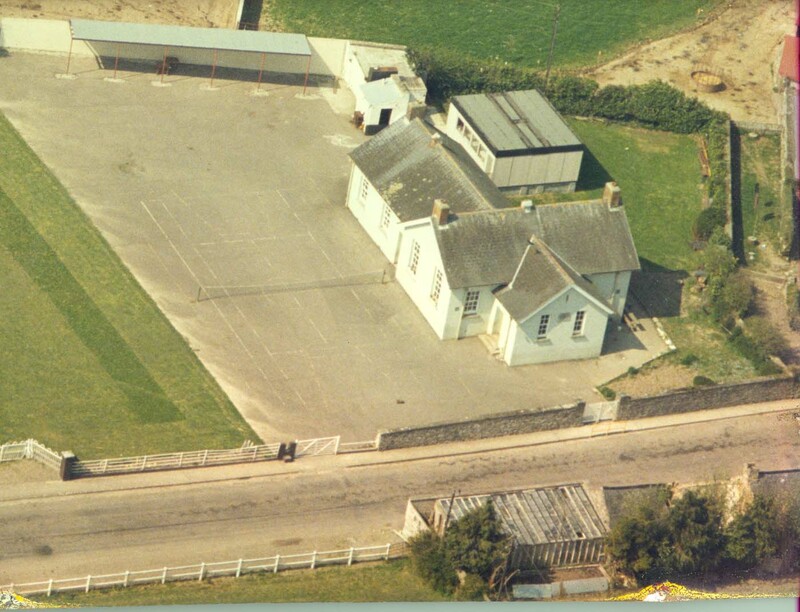 Our school is a small, rural primary school situated in South Kilkenny, in the Republic of Ireland. There are 56 pupils and four teachers in our school. Our pupils rang in age from 4-13 and this is our first venture into the world of blogging. I would like to know if you hold a record of pupils for the year 1959 I would be grateful if you could let me know. I think I have a picture of all the pupils with Mr Twoomey and Miss Noonan from 1959. I was about 8 years old then and would have been in second or third class. I do not know how to post it here – yet, but will try to figure it out. Thanks for your comment. Yes the roll books for 1959 should be available. Our names are Montse, Maite and Sonia and we’re writing from “Esplugues de Llobregat” This is a lively town close to Barcelona. We work in “CEIP Foch i Torres” as English teachers. This is a state primary school. This new school year we would like to participate and take part in a Comenius Programme. Our main idea doing a Comenius Project is to enrich the intercultural and foreign language competences of our students giving them a wide perspective on school, on everyday life in Europe and the variety of European culture. There have been many changes in our schools and society since we were students so we consider it is very important to give our pupils all the opportunities that this project could generate. We think that with this project we can raise pupils’ tolerance towards other cultures and towards minorities in their own country. With this e-mail our school is trying to encourage you to join us in the same project. The aim of this project will be to improve in our students, English as a foreign language and their competence in oral skill, as well as their knowledge of each other’s culture. This could be achieved through virtual communication, using everything that new technologies involve. We would like to share with you our local customs and traditions showing you what is done in our school. In our project we have the participation of all the members that represent our school: Infant Education teachers, Primary Teachers, and the headmaster and other staff in the school. And, of course, we count on the participation of all the children and parents. So, we are talking about a project that involves not only the English department but also all the school community. We think that this project will be a great opportunity for the pupils to join new knowledge, learn about each other’s customs and traditions, and become familiar with the minority languages from the different countries which we will be involved with. It is important to mention, that our school as a basic goal tries to promote “inclusive education”. This means to serve students with disabilities in the regular classroom. We educate students to be citizens in an inclusive society. In our opinion a Comenius Project will give the opportunity to our pupil to increase their self-esteem since they realised that a person with a disability can contribute to teamwork, and can join international projects to. Newcomers are also an important part of our inclusive programme: they enrich a lot our culture with their own personal experiences, and try very hard learning Catalan, Spanish and English as well. This project could be another nice opportunity to show and share with you their culture. In connection with this development it is clear that the project would be a convenient tool to motivate students to learn English as a foreign language, and it will also strengthen and widen the social and cultural knowledge. We can not forget that New Technologies will be part of our project, being the main support to make communication possible. It could reinforce the social and computer skills of our pupils while enhancing their motivation and confidence. Our objectives will be to improve their social skills, to instil self-confidence, to develop our intercultural understanding and to promote autonomy as learners. With this e-mail we will like to encourage you to take part in our project. We would like to be the coordinator school of a team made up of 5 schools from different parts of Europe. In order to meet each other, a Preparatory visit will be undertaken early in December (3 or four days). To undergo such visits you can apply for funding to the Educational Department in your country. The project will start next school year 2008-09 in September but we have to submit our project in January 2009. So, this is the reason for what we encourage you to join us as a partner in our project. The Preparatory visit will be in our school, and it will be a great opportunity to meet each other. We will discuss and develop an outline of the planned Comenius project. We want to work together and exchange ideas. Our project application will be submitted to the Comenius Organization in January. Needless to say that apart from working, you we will enjoy a nice weekend in Barcelona. This is Jim in the UK testing out your blog site…It was great to meet you in Lithuania…Let’s hope we get the project of the ground. Pingback: 2010 in review | St. Brendan’s N.S. Thank you for dropping by our blog. We have uploaded some old school photos from that period. We will try to source some more and add them to the collection. Can you tell us some of your memories of your school days in Newmarket please? It would be extremely valuable to our pupils today. Thank you very much for your very kind posting and thoughtful reply. It is a great pleasure to see how much progress has been made in Newmarket since I went to school there, almost 50 years ago. 1956 – 1964. I loved the “Bheal go Bheal, and will continue to explore the site as time allows for the older photos. Indeed, I think I have one myself somewhere, if I can figure out how to scan and send it, I will do so. I will give some thought to the memories and be glad to share them. I’d loved to go to Barcelona I’ve been there before but I’d love to love more about it and I’d like to learn a bit of Spanish. well..I went to Norway…kinda better..messing have a good time! OLE! Please pass on to the appropriate pupils. I looking for information about start and finish times of your school. Both in junior classes and bigger classes.